1 Bedroom Flat For Sale in Luton for £165,000. Taylors are delighted to bring to the market this very well finished newly built block of 12 apartments. 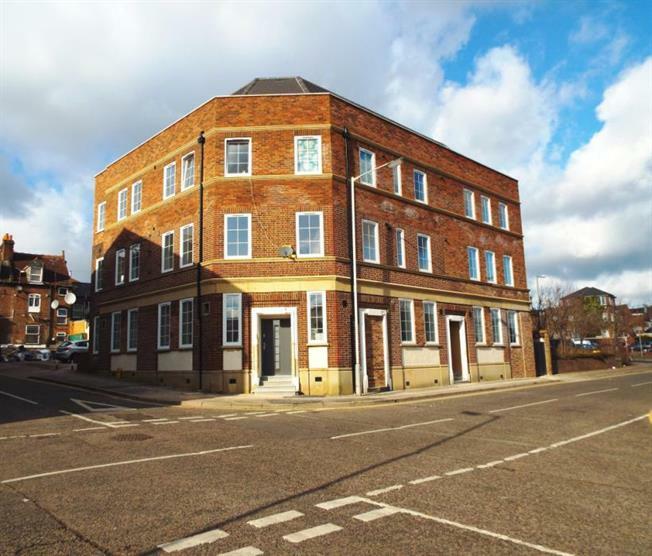 The building on Duke Street is conveniently situated providing easy access to Luton town Centre, Luton Train Station, University of Bedfordshire, M1, other road links, local primary and secondary school and other local amenities. The Building consists of 12 apartments all finished to a high specification, the building comprises of four studio apartments, four one bedroom apartments, three two bedroom apartments and one three bedroom apartment. Composite front door and frames with multi point locking, chrome ironmongery and chrome letter box. Porch light and patio wall light. Patio area with bicycle stand. Double glazed aluminium windows and wooden doors including security locking. Central heating system from high efficiency boiler. High levels of cavity wall and loft insulation. Highest quality wood laminate flooring. Smooth finish plastered ceilings finished in Dulex brilliant white matt emulsion. Sockets in all rooms and kitchens. Fitted modern kitchen with worktops. Stainless steel four ring Bosch hob. LED ceiling down lights and under wall cupboard strip lights. Composite sink with mixer tap. Modern brick effect white tiles on a wall. Premium quality Crema Marfil marble tiles on the floor. Wall mounted WC pack with chrome dual flush plate. Wall hung basin with cabinet, dual level storage space and chrome finished taps. Modern comfortable bath with shower and glas shower panel. Chrome finished central heated towel rail. Photos displayed are of various flats within this development and may not be specific to this plot.